Have you seen Erik speak? Leave a review. 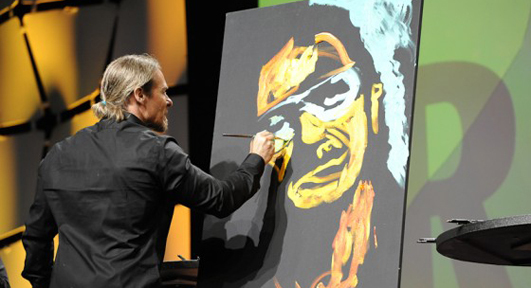 Erik Wahl is an entrepreneur, philanthropist, best selling author and graffiti artist. Wahl has also been described as the Picasso of Productivity, the Warhol of Wall Street and the Renoir of ROI. Wahl wrote UNthink, which was honored by the Business book powerhouse CEO Read as the #1 Business “Book of the Year.” UNthink is about pushing beyond our traditional thought patterns and rediscovering the keys to unlock our fullest potential. 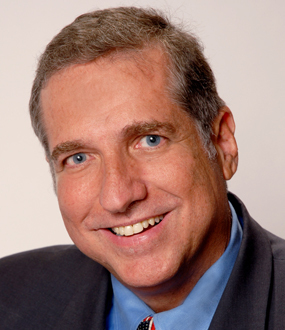 Drawing from his history as an artist and business strategist, Wahl is one of the most in demand corporate speakers on the circuit today. Using on-stage painting as a visual story for his core message, he inspires organizations to increase profitability through innovation and superior levels of performance. At every performance, Wahl donates two of his paintings to the company that hired him. He gives the company two choices: hang the artwork in their offices, or auction off the paintings to a charity of the company’s choice. What began as a gracious gesture turned out to have an amazing impact: The Wahl Group has raised more than 1.5 million dollars for charitable foundations worldwide through the auctioning of Wahl’s artwork. The Wahl Foundation is an organization that develops special partnerships with creative non-profits to explore unique solutions to the quest to decrease suffering around the world. Wahl’s list of clients include Disney, Microsoft, AT&T, Ernst & Young, XPrize, FedEX, London School of Business, and Exxon Mobil, to name a few. 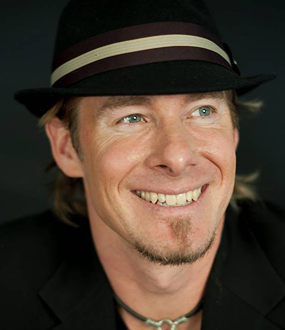 Erik Wahl is a recognized artist and speaker who challenges organizations to transcend mediocrity through creativity. His success as a speaker and unique understanding of vision traces back to his training as an artist. He holds a Bachelor′s degree from the University of San Diego where he studied both art and business. After first working in the business world and playing with his art, he now plays in the business world by working with his art. 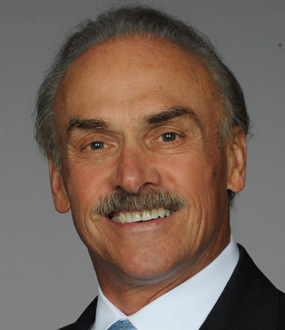 He has founded The Wahl Group, a consulting firm specializing in helping organizations identify and implement breakthrough thinking to achieve extraordinary results. Erik′s special blend of warmth, humor and experience, helps audiences identify their unchallenged roadblocks to success. 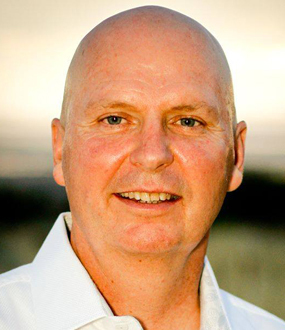 He is passionately committed to helping businesses explore new levels of vision and performance through creativity. His program, The Art of Vision, is uniquely designed to channel innovative strategies to create extraordinary results. By breaking apart the traditional rules, he challenges and inspires organizations to re-define their commonly held assumptions and misconceptions about vision, goals, success and creativity. Discover how you can sharpen your own creative skills, and identify a personal style for inspiring yourself and others to rethink vision and purpose. The principles in his uplifting and highly practical message will redefine the role of a leader as an artist as well as an architect. Each program ends with a live dynamically choreographed painting that leaves the audience in awe. In this brief series of speaking clips, Wahl talks about creating disruptive strategies, which is what he does for a living. He looks for ways to “defamiliarize [sic] the ordinary”, and create breakthrough pockets of innovation. He also speaks about his book UNthink. 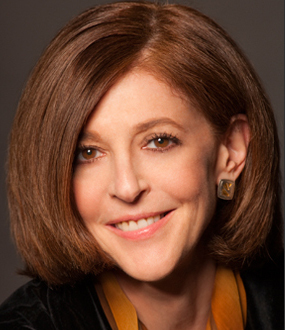 Wahl asserts that, “… the art of success is couched firmly in the science of reprogramming our mind.” Businesses that form emotional connections with their clients are the ones that will drive future customer loyalty. Erik Wahl’s signature keynote, The Art of Vision, is an entertaining and highly practical program that uncovers new ways to make your organization more creative, productive, and ultimately more profitable. It is a 45-60 minute multi-media format that is ideal for opening or closing your meeting on a high note. Wahl’s second program, Discovering Your Untapped Potential, is a fast paced, highly interactive 90 minute workshop. This program is designed to provide specific strategies to unleash personal and professional achievement through creativity. Audiences uncover tools for solving persistent problems, discover new opportunities, and ultimately ways to differentiate themselves from the competition. This program is ideal for audiences who have already experienced Erik’s Art of Vision keynote. Your best sustainable edge is being better at mastering change and innovation than your competition. Erik’s Signature keynote, The Art of Vision is an entertaining and highly practical program that uncovers new ways to make your organization more creative, more productive and ultimately, more profitable. This 45-60 minute multi-media format is ideally suited to open or close your meeting on a dynamic high note. This fast paced and highly interactive 90 minute workshop is designed to provide specific strategies to unleash personal and professional achievement through creativity. By exploring techniques to stretch our minds, audiences will uncover new methods to solve old problems, discover new opportunities, and ultimately differentiate themselves from their competition. This program is ideally suited as a follow up for audiences who have already experienced Erik’s Art of Vision keynote. What I really want audiences to take away is a shift in culture – a shift in how they view all of these components of their work and lives. SPEAKING.COM: What do you want people to take away and learn from your presentations? WAHL: I want them to experience a mind shift, so I don’t focus on one particular theme. I’ll touch on leadership change, customer service, and related topics, but overall what I really want audiences to take away is a shift in culture – a shift in how they view all of these components of their work and lives. WAHL: The amount of preparation I do is immense. The first thing that I do the moment we get booked by an organization like Exxon, Microsoft, or Google, is buy a sizeable amount of personal stock in that company. I don’t buy it for financial gain; rather, I buy it so that I can personally invest myself in the company and understand it at a new level: What moves the needle? Why is the stock going up? Why is the stock going down? Who are their competitors? What products are they releasing? Usually, I sell the stock after the presentation. I do interviews with the executives allowing them to paint a word picture for what they want their audience to feel at the end of my presentation. I also send out a very extensive questionnaire for clients about what their day-to-day looks like. It’s not meant to be a cumbersome homework assignment and I very actively use everything that they say to help me understand what it’s like to be one of them. For example, if I’m speaking at a Presidential Summit for the top sales force for a particular pharmaceutical industry, I want to know what the best of the best have done to become the best of the best so that I can understand how to help them expand their consciousness, their mind, and their creativity to continue working and performing at a higher level. Right before I go on stage I meditate listening for the audiences’ heartbeat and breathing patterns so that when I take a stage, I’ll be one of them. Every room is different and all these differences matter: the atmosphere created by the speaker before me, the energy of the audience, if it’s a morning presentation versus an evening presentation, if it’s an analytical or engineering audience versus a sales audience, and so forth. I’m not coming out as a clanging drum, with fists pumping, acting like, “Hey, now, everyone, we’re going to be motivated.” This is very much about connection. It’s not a lecture; it’s a share. It’s not pushing content. When I’m onstage, I want to change the format for what a keynote experience looks like. I don’t want my audience to be passive consumers of information, but rather engaged participants. In order for that to happen they need to believe that I know who they are and that I’m not just a talking head. All the research I do then, prior to taking the stage is what creates that connection. My presentation is meant for events that want to change pace or experience something different. WAHL: My presentation is meant for events that want to change pace or experience something different, so it’s not aimed at a specific audience on a linear scale such as sales, marketing, leadership, and so on. It’s for anyone who wants to kick off or close their event on a dynamic high note moment with an “aha!” multi-sensory experience. We look at every invitation that we’re given with: “How can we add value?” or “Can we add value?” We’re very specific then, in what we take and what we refer out. There are many great speakers out there and there are many great opportunities, so when it comes to considering an audience, I want to make sure that we’re the right fit. WAHL: I had this message that I wanted to share to scale. I had seen many beautiful paintings in studios as well as amazing pieces of poetry or singing and song-writing that never got shared, never got amplified, and never got pushed out. In addition to this new exploration of art, I had this understanding of business, how I think business is changing, and how I think business could be improved and done better. My speaking career, then, was built out of an understanding of how to share an idea to scale and make that shared experience awesome. The keynote speaking stage that virtually every conference has, is an this amazing opportunity to express, share, and amplify ideas to scale, but I’m not a big fan of the mainstream keynote speaking industry, because it’s hard for me to listen. It’s hard for me to listen in church and it’s hard for me to listen to other keynote speakers. Formats that mainly consist of information push, slides, and graphs just don’t engage me. Live music engages me. The experience of interacting, like a Q &A for example, engages me. I love the uncertainty of what’s coming next so I built all that into my presentation to create a share of ideas through a theatrical “Wow!” experience – something that fascinated me, and I’m grateful that this same format fascinates audiences as well. Corporate audiences love the fact that I understand business, that I can talk shop and what they need to hear, but they also are deeply appreciative that I’m doing it in a very entertaining way, using music, lights, production, and interaction. Having this mind-blowing keynote experience, and then sharing it on social media transfers into this “aha!” moment that connects all the sessions. WAHL: I blow up their social media. Why don’t we just watch conferences on our iPhone? Why don’t we stay in our office and just read the cliff notes in a PDF file? People are going to attend conferences for the value added live experience of networking and communicating. One of the ways that’s done is through building a social media presence. 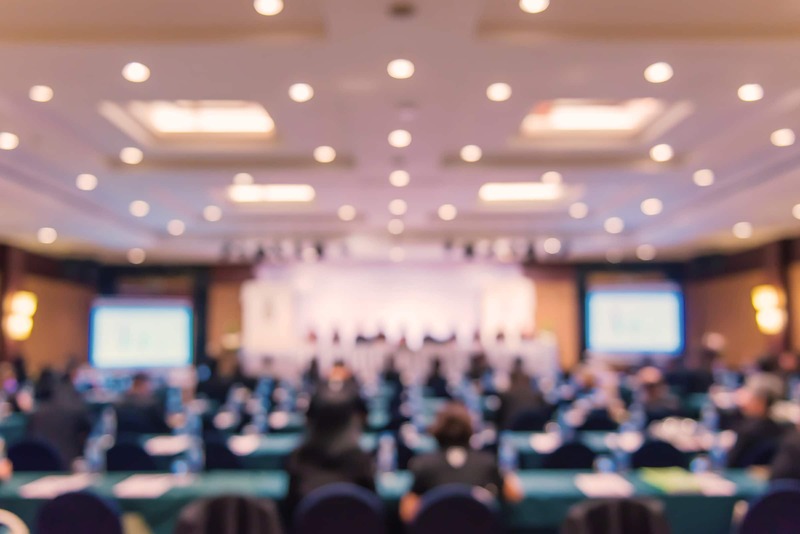 It helps make conferences relevant, and so organizers spend tons of time and energy, pre-conference, building up social trend, energy, and interaction into the meeting with social media. I understand social media. I get where it’s been, where it’s at, and where it’s going. So one of the things I do is blow up their social media channels and get people talking and sharing through polls, quotes, and pictures. Having this mind-blowing keynote experience, and then sharing it on social media transfers into this “aha!” moment that connects all the sessions. It connects their workshops to their dinner, to their entertainment, and to all the other elements of the event. Why we're facing a crisis of consciousness . How to expand your creativity. Thinking like an artist while acting like an entrepreneur. "There is a crisis in consciousness and awareness today. We are in a world where everything has changed due to information overload." – Natl Inst. Case Management, Inc.
– MD Anderson Cancer Center. In the tradition of A Whole New Mind and The War of Art, graffiti artist and corporate thought leader, Erik Wahl explores the power of creativity to achieve superior performance. Somehow we’ve come to believe that creativity is reserved for the chosen few: the poets, the painters, the writers. The truth is creativity is in all of us and re-discovering it is the key to unlocking your fullest potential. 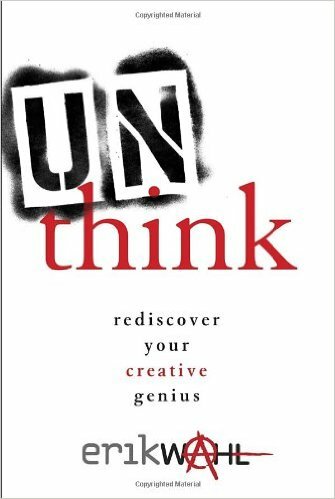 Unthink is a book that pushes us beyond our traditional thought patterns. Unthink is a book that will inspire everyone to realize that we are capable of so much more than we have pre-conditioned for. Creativity is not in one special place–and it is not in one special person. Creativity is everywhere and in everyone who has the courage to unleash their creative genius.